I have highlighted her work before, but it's worth mentioning again. Blogger Angela Liddontakes gorgeous photography and posts fool-proof recipes. Many of the bloggers who are more health-conscious have posted their fair share of rock-hard brownies and watery "cream" sauces. Not so with Angela. 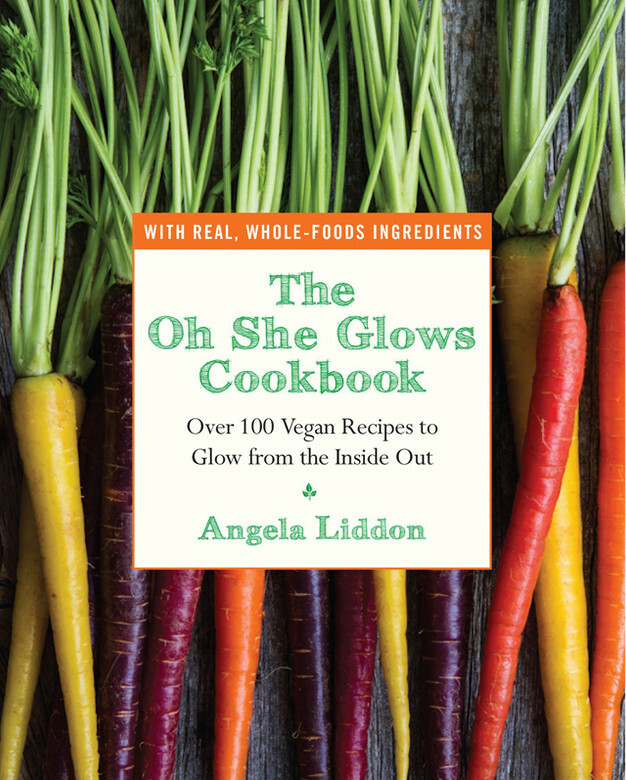 She relies on real, whole foods and her dishes are nutritious, accessible, and satisfying. Everything with chocolate in this book is divine, as are her soups. The author of this cookbook has sadly gone off the map, but I still turn to this cookbook for quick, easy, and Dan-friendly meals. Sarah Matheny's vegan recipes are probably most like familiar favorites from childhood: she puts a vegan spin on cheeseburgers and gnocchi and banana cream pie. Favorite recipes include the African slow-cooker soup, pumpkin-spiced chickpeas, and the zucchini quinoa lasagna. Want to eat more green vegetables? Buy this book! 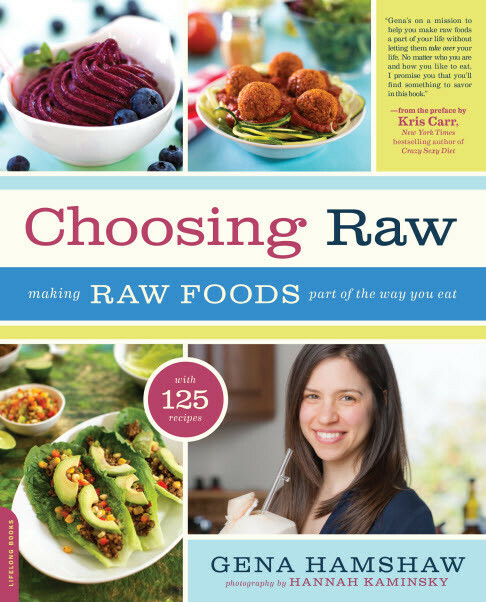 Blogger and nutritionist Gena Hamshawdemonstrates the diversity of raw foods--it's far more than crudites and salads (but, she has plenty of great salad recipes too!). The dressings, sauces, and hummus recipes are simple staples that add flair to otherwise humble dishes. I would recommend beginning with the cashew cheese. Colleen Patrick-Goudreau breaks down menus by seasons and occasions, taking the guess work out of entertaining. We don't always make all courses listed, but the suggested pairings serve as great sources of inspiration, and the recipes are fancy without being fussy. We like the carrot ginger soup and polenta with tomato reduction. 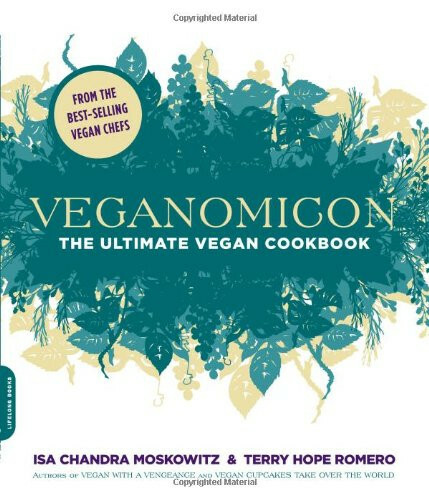 While I don't open this book as often as I do the others, this is the Bible for vegan cooking. Many of the recipes are more complex and multi-step, but you are rewarded with impressive outcomes. Don't let the long recipes scare you: the instructions are so thorough that you'll catch any missteps and have any uncertainties resolved. This is the book to pull out when you want to show off a bit, or if you want to unwind by spending an afternoon preparing dinner. 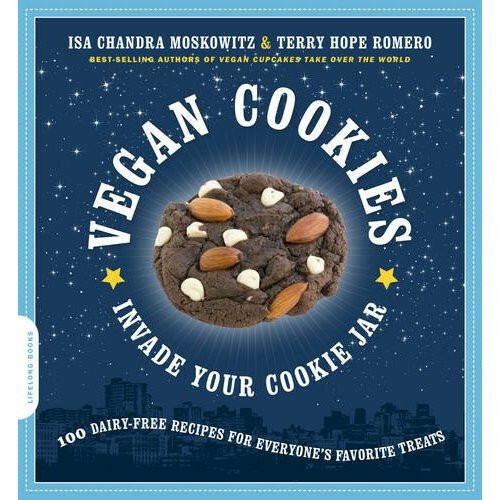 We're cookie people at our house, and I swear by the chocolate chip cookie recipe in this book (I've perfected the method for soft, chewy, almost-but-not-quite underbaked cookies, but that's a post for another day). This book's umbrella includes all portable sweets that contain some sort of flour-sugar mixture. Try the ultimate chocolate brownies and homemade Fig Newtons. 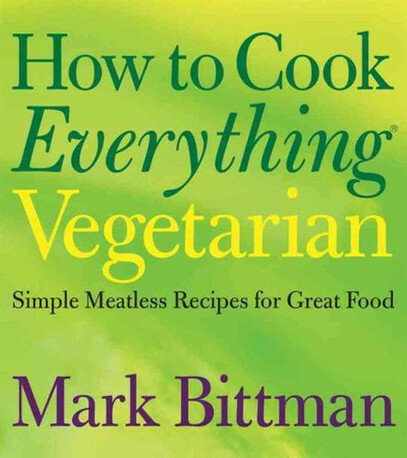 I wish Mark Bittman would just go vegan already, but he has certainly dipped his toes well into the waters! 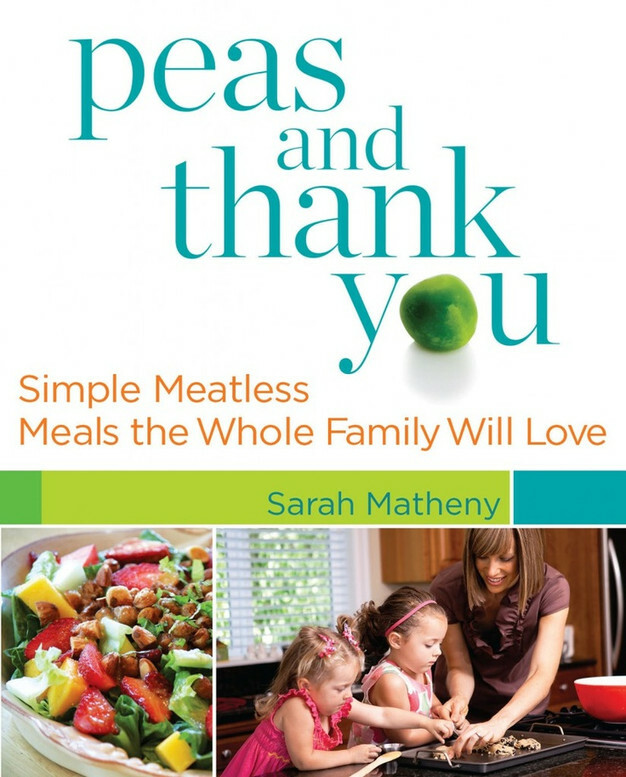 I haven't read VB6, but this book answers all the questions I have about how long to cook different beans and grains and which flavors pair best with which vegetables. Although you can find all that information online, I find it handy to refer to the index of this book. This book is more Dan's vote than my own, but I'm pleased that the book appeals to a broad audience. The language is foul, but the recipes are incredibly virtuous. 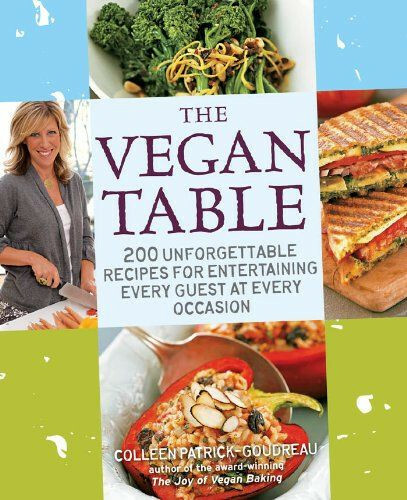 The kitsch factor alone may be reason to buy this book, but so far the recipes that we have made--marinated tempeh. peach-mint tea, and cauliflower cream pasta--have impressed.